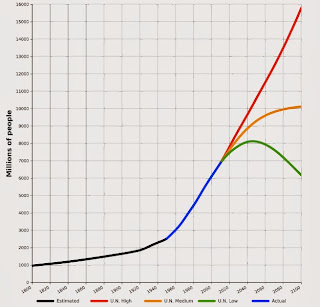 If there has been a "sure" bet, it has been the bet that the worldwide population will increase; indeed, since the middle of the 14th century there has been continuous growth in global population. The United Nations estimates that by 2050 we will have between 8.3 and 11.9 billion people on Earth, from 7.1 billion today. What does this mean for the individual that wants to Invest Like A Farmer? It is pretty clear to me that following some semblance of "Rapko's Rule's" (see below) should pay off handsomely assuming the financial farmer doesn't interrupt the compounding cycle and also has a reasonable (think several decades) of investable time on his or her hands. 1. Boring is undervalued. Look for companies with established brands. If they are exclusive, finite, hard-to-get, vital, addictive, and/or monopolistic, so much the better. 2. I prefer companies that pay me to own them. Specifically, I want to buy companies that pay quarterly dividends that have historically risen over time. 3. Of the four possible outcomes; high margin, high volume is best. 4. A steadily moving higher and higher left to right stock chart is a good thing; the inverse is not. 5. Inevitably, and by definition, more time is spent holding a losing position than is necessary. Cut your losses. In summary, I look for boring, dividend paying companies that have a high margin, high volume business with steadily increasing left to right stock charts. I'm not afraid to cut my losses early. 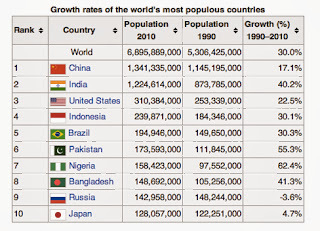 Now, what do the Rapko's Rules have to do with making a bet on population growth? Everything! 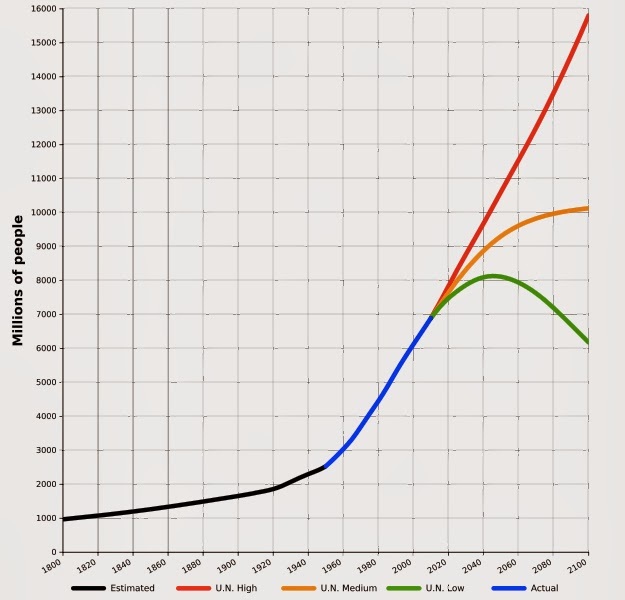 The dynamics of population growth are very interesting because across humanity many of us want the same things; a sense of purpose, good health, longevity of our family, communication, pleasurable pursuits, and the ability to make a positive impact on the world are just a few. Having traveled a fair amount, I can see many, many similarities across the globe. HOW these goals are accomplished, however, varies greatly. Many developing countries have completely skipped the desktop, laptop, and advanced directly to mobile phones for their communication and internet access. The same can be said of medical care, where a drug delivery solution which may have taken hundreds of millions of dollars to develop by some of the most brilliant minds on Earth, can be administered globally with ease. 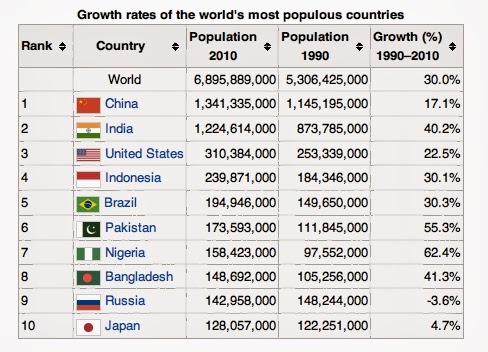 With a high degree of certainty, it can be surmised that the global population will continue to grow. Will there be drastic breakthroughs? Absolutely. But from the viewpoint of a financial farmer, there are many seeds that can be planted which focus on branding, utility, and scale that should perform very well without necessarily having to take a significant risk in terms of the disruptive technology. Will a disruptive technology create many billionaires and millionaires? Absolutely, but so will focusing on branding, utility, and scale that an ever-increasing population demands.